It is tempting to click the Publish button on a WordPress post as soon as you have finished it, but suppose it is the weekend and experience has shown that hardly anyone reads your posts on a Saturday or Sunday? It would be better to wait until Monday, Tuesday or whenever you get the most visitors to your website. If you keep an eye on the number of visitors to your site each day using Jetpack, Google Analytics or something similar, you can tell which days are best. On this website for example, there is a dip in visitors at the weekend, no doubt because people have more entertaining things to do with family or friends than sit at the computer or stare at their phone. Save the posts you write at the weekend and publish them when there are more people around. Sometimes you can’t think what to write for your site, but other times your head is buzzing with great ideas and if you have the time, you might want to create several posts in a row. Publishing five articles all together could be less effective than spreading them out over five days where you might develop a habit in visitors coming back every day. There are many reasons not to publish immediately and to save a post for a future time or day, so let’s take a look at how to do it. There are two methods and one is to use the schedule post feature in WordPress and the other is to use a plugin. 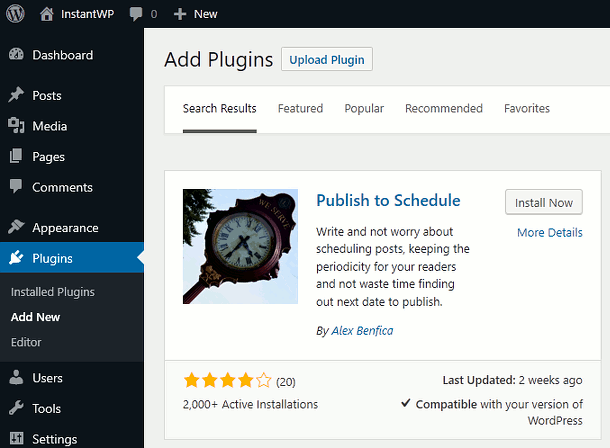 The end result is the same, but there are advantages to using a plugin as we will see, but first let’s take a look at WordPress post scheduler. 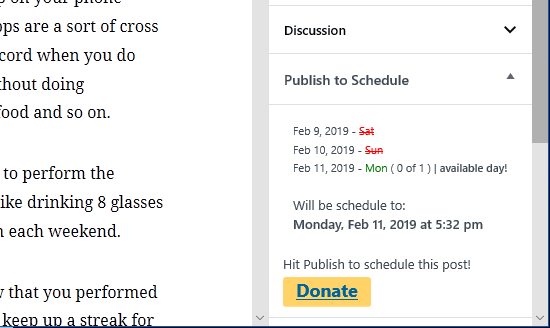 Normally in the top right corner of the post editor window is a Publish button, but it can be turned into a Schedule button instead that lets you publish the post at some time and date in the future automatically. The link to the right of Publish in the Document box normally says Immediately, but click it and a calendar appears. Click the day the post is to be published and set the time too. Choose a time when most of your audience is likely to be at their computer and not fast asleep in bed. Click Schedule at the top of the page and the post is added to the WordPress Posts page with the word Scheduled next to it. 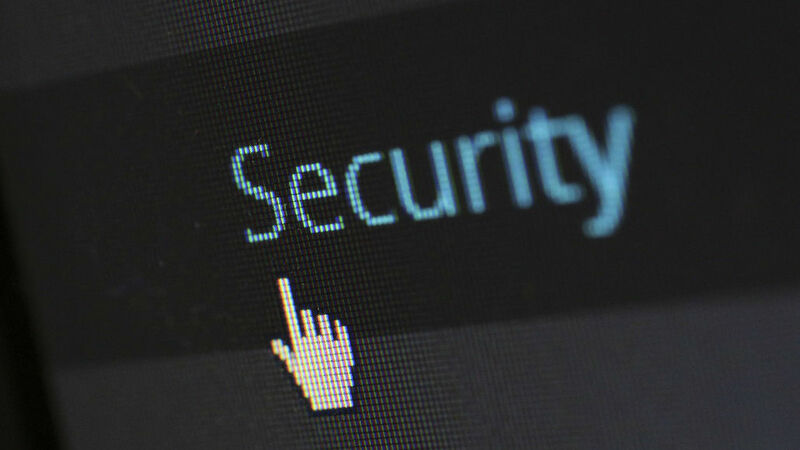 It will automatically be published and go live on your site at the time and day you set. Instead of manually scheduling WordPress posts, it is possible to automate the process. This is most useful when there are several posts to schedule. You might want to spend a few days focusing on creating posts for your blog or website and get them done so that you can put your time and energy into other things. Get all the posts for a week or month out of the way and the rest of the time is free. You can save the posts as drafts and manually publish them on the days you want, but you might forget. You could schedule the posts, but can you remember on which days you have scheduled and which days remain to be filled? It can be confusing. Publish to Schedule is a clever plugin that automatically chooses the best time and day to publish a post without you having to do anything. Once set up, publishing posts is automatic at the optimum times without you having to think about it. Go to Plugins in the sidebar in WordPress and click the Add New button. Enter ‘publish to schedule’ into the search box and then click Install Now followed by Activate. Go to Settings > Publish to Schedule to configure the publishing schedule. The days of the week are listed and you can choose how many posts to publish on each day by entering the number into the boxes. You might want to avoid publishing at the weekend and entering zero for Saturday and Sunday achieves that. You could publish on alternate days by entering 0, 1, 0, 1, 0, 1, 0 into the boxes. You could publish only on a Tues, Wed and Thurs by entering 0, 0, 1, 1, 1, 0, 0. The Start Time and End Time indicate what time of the day posts can be published. Choose a time period when most of your visitors are active and not sleeping. Down near the bottom is an interesting option – Show all information available! It is useful if you want to see the plugin working. That is it. Just create posts in the usual way and publish them. You don’t need to schedule them because the plugin does that automatically. In fact, down near the bottom of the panel on the right in the WordPress post editor is a Publish to Schedule section. It shows when the post will be published. In the screenshot above you can see that Sat and Sun are in red and crossed out. This is because Saturday and Sunday are set to zero. 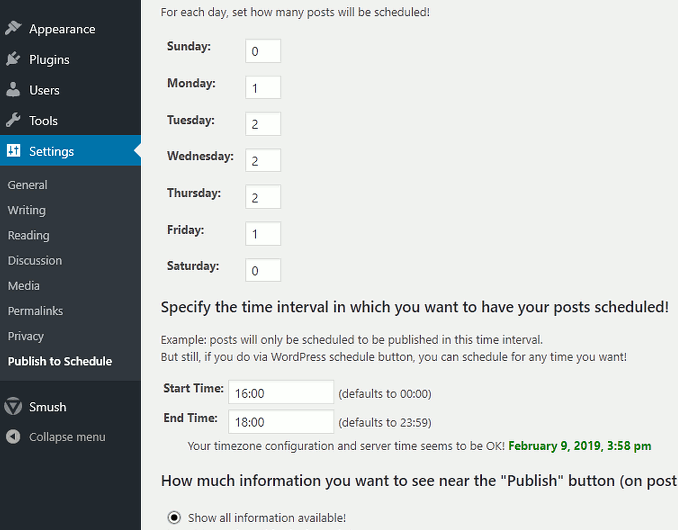 The first available post date is Monday and the time selected is within the time slot set in the plugin settings. You don’t need to think about scheduling posts anymore and you can just click Publish and let Publish to Schedule work out when to publish. You could create 10 posts and if Publish to Schedule is set to publish only one a day, then they will appear on your site one a day for the next 10 days. 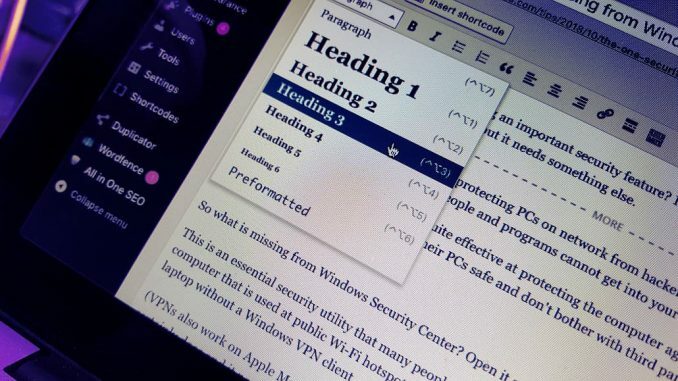 This plugin is especially useful if your site has more than one writer. Suppose they all finished their posts on the same day. 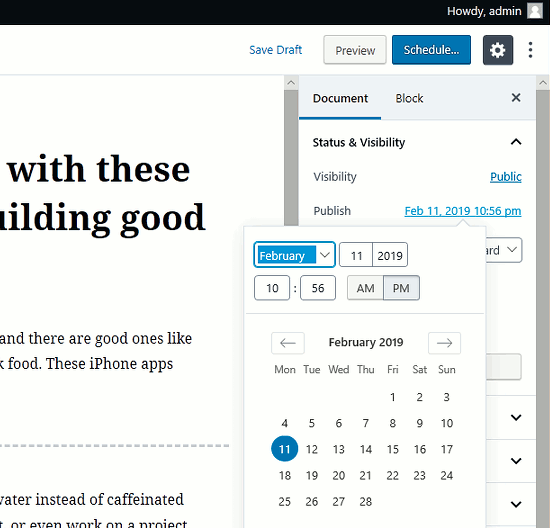 It would be awkward working out and setting the schedule for each one, but Publish to Schedule will automatically choose the best times and days, spreading out the posts as defined in the settings. This is a useful plugin that reduces your workload by automating post scheduling.